Our short lanyards are great, if you require strong lanyards with a heavy metal hook, which clearly signals an active lifestyle. 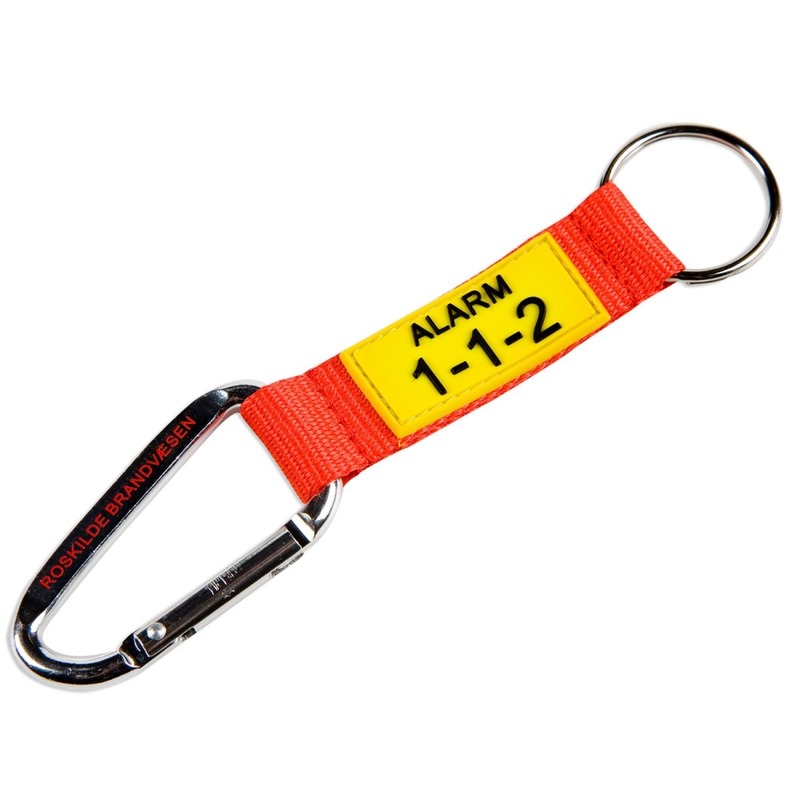 The short lanyards can be made with printing, plastic label or woven design. We can print on both the tape and the metal hook according to your wishes. We make the short lanyards from scratch according to your wishes, in terms of the width of the tape, the colour of the string, the printing and accessories. The accessories can for instance be a metal hook, a mobile string etc. Price examples are for 1 colour print (no PVC label sewn on) and without printing on the metal hook. Standard measurements: 20 x 70 mm, but we can make them in the size required.